Ever since I sewed my first Metro Hipster Bag with waxed canvas I have been in love with the stuff. It’s got a casual, rugged look and it’s easy to sew. Waxed canvas amps up the durability of the bag as well as the style factor, in my opinion. Use it as an accent with other fabrics or construct an entire bag out of it! Waxed canvas is a cotton canvas that has been impregnated with wax and is water resistant. First used as sailcloth by 19th century mariners, waxed canvas is durable and has a look similar to distressed leather. Great for more masculine applications! Waxed canvas has slightly waxy feel and gets a rugged mottled look with use. The surface shows creases and marks easily, contributing to the character of the fabric. You can choose to emphasize this by deliberately scrunching it in your hands then smoothing it out . There are several weights available in waxed canvas. I like the mid weight, 8-10 oz, for sewing bags on a home machine. As with any heavy fabric, it’s important to equip your machine with sharp new heavy duty needle in a size such as 100/16 or 100/18. Heavy duty or “jean topstitching” thread is also helpful as is using a longer stitch length of 3 for topstitched details . A roller foot or Teflon coated foot can assist when sewing on fabrics like this that may tend to grab. If you’ve got a walking foot for quilting, you can try that as well since the foot “walks” vs. sliding along the fabric surface . I’ve been using a standard presser foot and it seems to work fine for me. Keeping your waxed canvas rolled rather than folding it can help avoid creasing. However, creases can be removed by pressing, provided you protect your iron from the wax by using a press cloth . Sometimes pinning can leave visible pin holes so try to pin carefully within the seam allowances  or forgo pins and use clips instead . After sewing with waxed canvas, be sure to give your machine a thorough cleaning to remove any potential build up left behind from the wax. Wipe the surfaces down and use a fresh needle for your next project! I searched high and low for waxed canvas when I was developing the Metro Hipster Bag. It can be quite spendy and buying it from Fairfield Textiles, the only US manufacturer, requires a meeting a large minimum. I’ve been able to buy a yard at a time for my projects on Etsy by searching for “waxed canvas yardage”. Over the past few years it’s rise in popularity has made it easier to find. Have you sewn with waxed canvas? 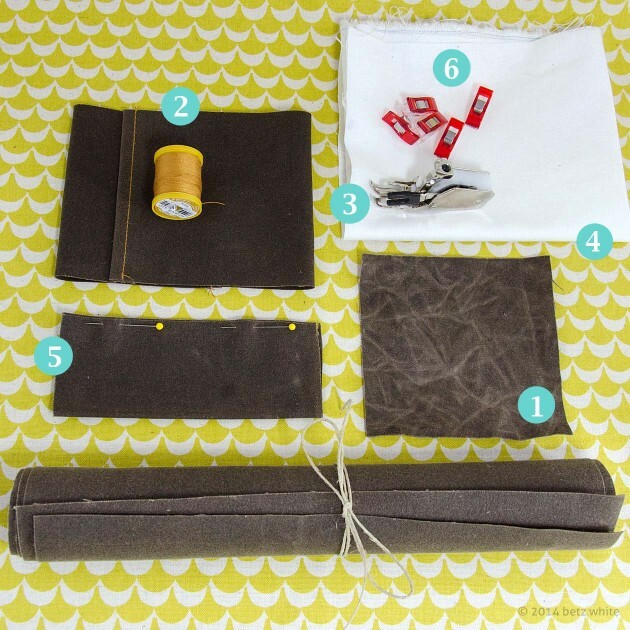 Do you have any sewing special tips to share? Thanks for sharing your tips with us Betz! 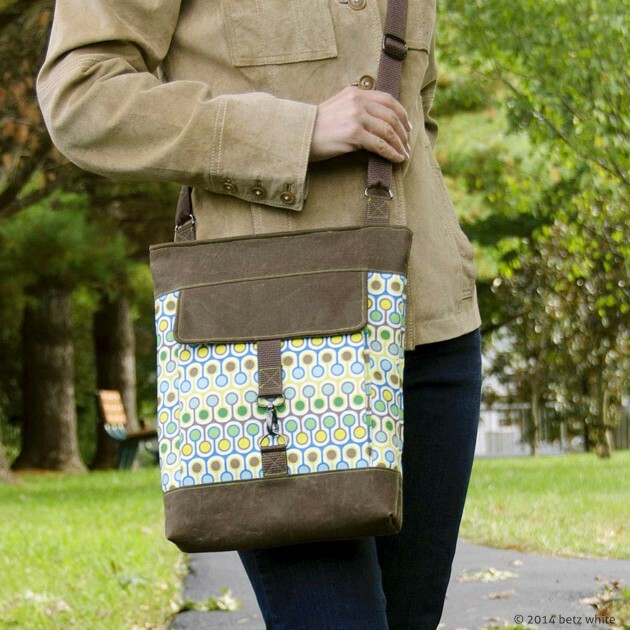 Betz White is one of my colleagues in the Bag of the Month club and sells PDF sewing patterns, as well as teaching on Craftsy. Her bold aesthetic combined with her education in apparel design results in a unique offering of patterns and projects for the modern sewer.